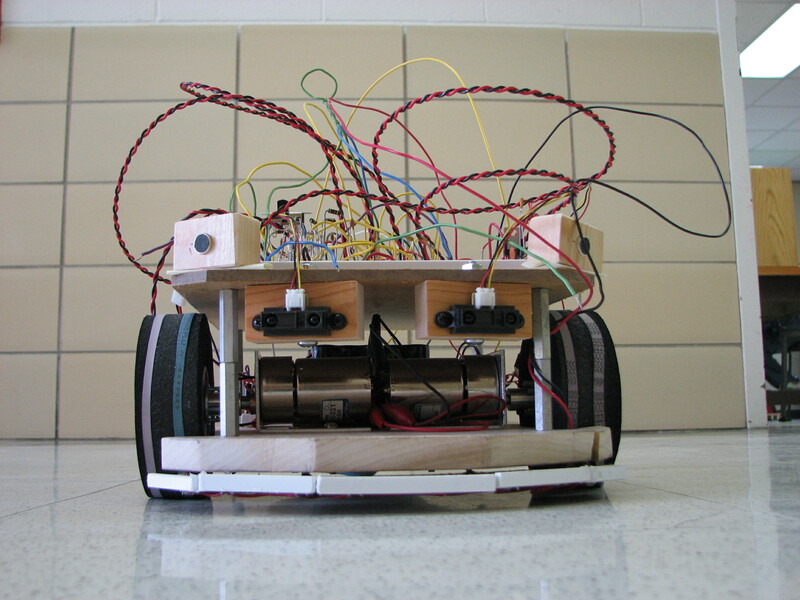 Emergent Behavior Robot is the title of our Senior Capstone Project at Bradley University. Emergent Behavior Occurs when multiple simple behavior modules combine to create a sophisticated, intelligent response that is greater than the sum of the parts. Where Does It Appear? Emergent behavior can be found in weather phenomena, geographical patterns, and animal behaviors such as swarming and colonies. What Are We Using It For? We are exploring the use of emergent behavior in robotics. EBR has several independent behaviors interacting to cause a more sophisticated behavior to emerge. Our Robot Platform As part of our Senior Capstone Project, the robot platform was built from the ground up. This enabled customization of the robot to exact specifications and gave a full experience of the design process from beginning to end. Our robot is programmed to do many simple tasks, which are weighted based on importance, and the resulting action is an emergent behavior. The final state of this project did not result in the desired emergent behavior, however, except for searching and locating a beacon, all individual behaviors were implemented. The final demonstration video can be found here.